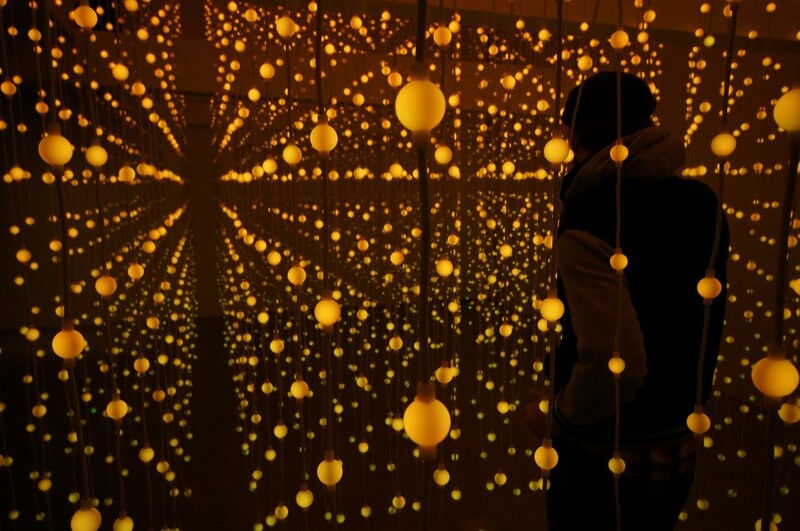 Submergence is an installation by the international art group Squidsoup. It is the result of a year-long exploration that started back in 2008 when they created two LED cubes in collaboration with the ETH-Zurich. Later, they continued their exploration and created an installation larger enough to fill a room but too delicate to let the visitors walk through. 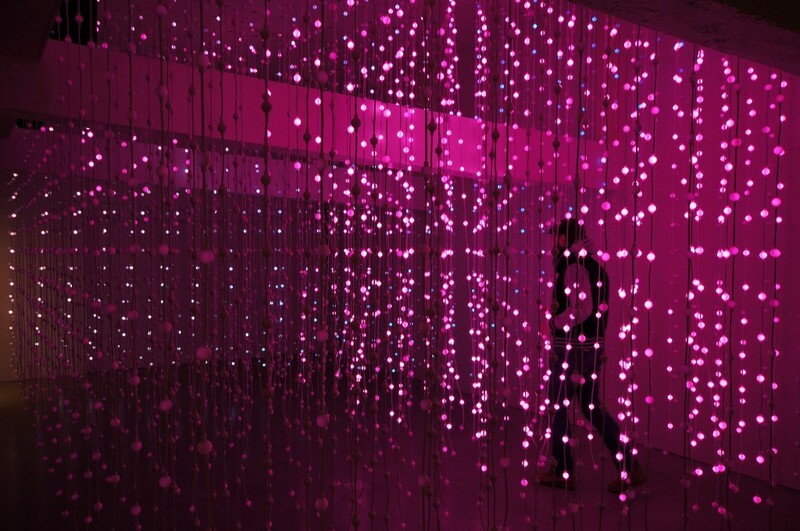 With submergence the squidsoup team finally achieved the dream of an immersive light and sound experience. 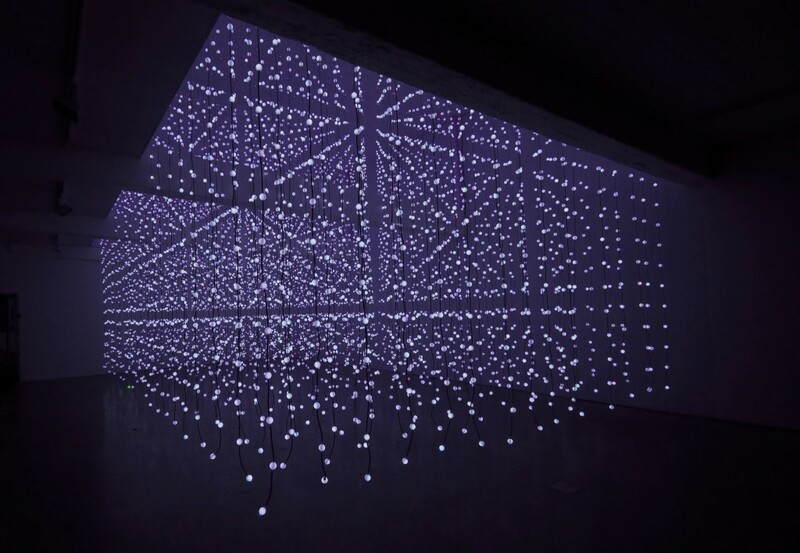 Submergence is made of nearly 400 LED strings hanged from the ceiling. The whole installation has around 8,000 color lights that can be addressed individually. When the visitors walk through the installation it reacts in different ways. It might follow the movements of the persons, avoid them or eventually it will create a dazzling audio-visual experience. During their year-long exploration of LED spaces the Squidsoup team ironed out the software solution needed to control a volume made of pixels. The technique, called by them “volumetric rendering”, is based in open frameworks, a powerful package for visual artists. However for submergence they still needed to develop an efficient way to track the movements of the visitors. To achieve the interaction the Squidsoup’s team experimented with different techniques. For example, they tried using infrared and thermal cameras but the LEDs created too much interference. Other ideas included covering the floor with trackpads or installing sensors in the LED strings. However the solution was much easier. 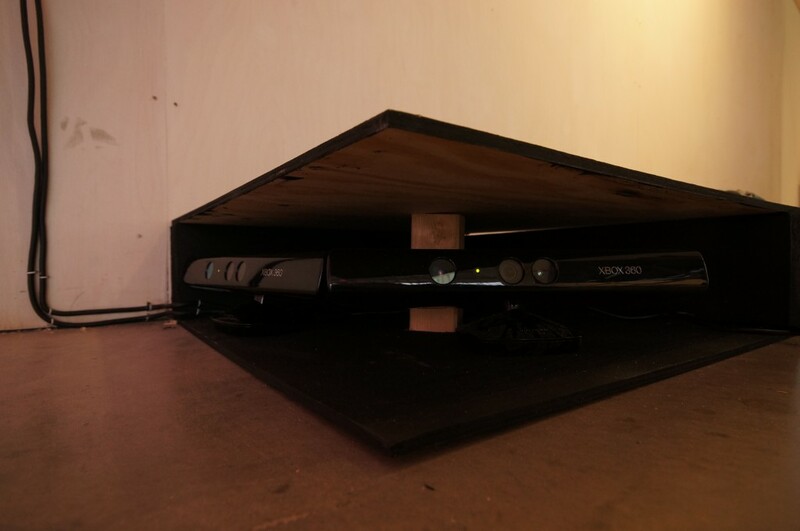 A couple of Kinect cameras placed on the floor register the movements of the visitor’s feet.